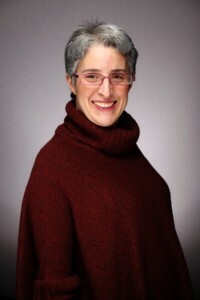 Diana Maliszewski is a teacher-librarian with the Toronto District School Board and currently the newest board member of the Association of Media Literacy, having joined in 2018. She has presented throughout North America and written extensively on media topics such as graphic novels, popular culture, games-based learning, Minecraft, cosplay, and social media. Her awards include the Canadian Association of School Libraries Follett International Teacher-Librarian of the Year (2008) the OLA President’s Award for Exceptional Achievement for her work with a great team on the seminal school library document, Together for Learning, and the Canadian Society of Association Executives Communication Award of Excellence for Best Print / Electronic Publication for The Teaching Librarian, a magazine she edited from 2006-2018. AML: Diana, what is one of your favourite media texts? Diana: I’m not sure. I’d either say Twilight or Twitter. AML: Those are two very different texts. Can you explain? 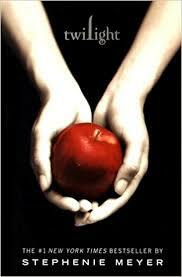 Diana: Twilight is the first of a series of four books by Stephenie Meyer. It’s about a human girl named Bella Swan who moves to gloomy Forks, Washington and falls in love with Edward Cullen, who turns out to be a vampire. My friend Martha Martin introduced me to the series and I was hooked. Twitter, the microblogging platform, became part of my regular writing routine since December 2009. AML: Why do you like those texts? Diana: I have mixed feelings about Twilight nowadays. Back when I first read Twilight, what I really enjoyed was the way the author captured that heady and overwhelming feeling of first romance and the conflicting emotions that ride alongside the experience. The supernatural elements to the story and the way they simultaneously defied and supported traditional vampire mythology were entertaining. I eagerly read the rest of the books in the series (New Moon, Eclipse, and Breaking Dawn,) and I enjoyed the reading communities that grew around reading them, especially atypical groups (i.e. not just teen girls, but middle-aged women). I’m still friends today with people I met online on a Twilight fan website (the Twilight Lexicon) and my Twilight teacher reading club at my school led us to read many other great authors and series. Now, I still have fond memories of reading the books, but it’s tinged with some uncomfortable feelings about portrayals of First Nations characters and gender tropes (which was sorely tested when the author produced a gender-swap version of the story with a human Beau and a vampire Edith; this was meant to show that the story still worked when there wasn’t a “damsel in distress” but it felt forced and a bit of a money-grab). I also have mixed feelings about Twitter. I really enjoy tweeting. It’s quick and can be both entertaining and informative. As of November 2018, I’ve written 12 600 tweets. I’ve learned so much from people that I follow. There are people I never would have had the pleasure of interacting with if it weren’t for Twitter. And yet, there are some parts of Twitter that are troubling – people can misinterpret tweets very easily, or take tweets out of context. Some users forget that there are real people behind these Twitter accounts and can post the most cruel and hateful things. It’s become a platform for some people to find like-minded people for noble and horrific causes. At least it makes a very interesting discussion about how you can like texts that aren’t “perfect”. AML: Thanks for sharing some of your favourite texts, Diana!